There is always something unique and unexpected going on with Brooklyn-based indie-rock band American Authors, which is fitting, given the nature of how their self-titled debut EP—released in August—came together. Most bands come in with a specific idea about how they want the album to sound or what the lyrical themes should be, but lead singer/guitarist Zac Barnett says they had to develop a “plan B” of sorts to become the group they are today. That letting-go process involved not being afraid to swap instruments and allowing each band member’s individual musical style to get thrown into the mix. “Once we started having fun with that, opening up and being adventurous, it naturally created the cohesiveness we were seeking,” Barnett says. As American Authors are discovering with increasing regularity, opportunities for fun and adventure are everywhere. They have been touring across the country for a good chunk of the year and have had two singles—“Believer” and “Best Day of My Life”—getting significant radio and worldwide commercial attention, so there has been little time for them to stop and breathe. Even a flight has the potential to turn eventful nowadays. Choosing not to simply go with traditional rock & roll instruments is more of the sort of outside-the-box thinking that the band employs. 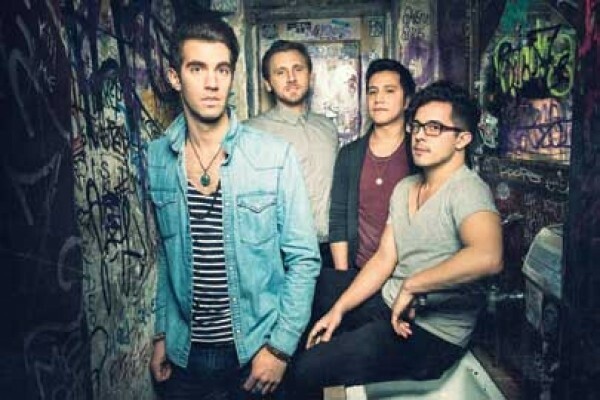 American Authors’ songs have a well-rounded, engaging rock & roll aesthetic to them, but in addition to catchy melodies and great guitar riffs, their hit single “Believer” features organic percussion and hand claps. “Best Day of My Life” employs a bit of banjo, “Luck” is one of a few songs to feature a mandolin, and, if you listen closely on “Home,” you can hear an accordion. And the video for “Best Day of My Life” has two versions—the regular version and one shot entirely from a bulldog’s perspective. But while the band has fun making uplifting music and endearing videos, their songs are not all about happiness. “Best Day of My Life,” for instance, talks about a person not wanting to leave the dream world because it is so beautiful there, and “Home” highlights the band’s ever-present struggle with sometimes needing to put their careers ahead of loved ones. Regardless of their songs’ content, the band is proud to share themselves with their fans. Wednesday, Dec. 4, 7 p.m.